Social media space has witnessed an overhaul in past few years. Twitter and Facebook emerged as two top websites attracting millions of people worldwide. Unlike other social media websites, Twitter and Facebook provide better options to access their service on mobile phones. Twitter is a micro-blogging service that is based on a concept “what’s happening now”. So there isn’t any better way to use the service than from a mobile phone. Twitter has a web application that supports almost all handsets. Apart from this, there are a lot of third party and official native Twitter applications for different mobile OS platforms. All of them supports Twitter updates, Mentions, direct messaging, search, photo uploading, etc. 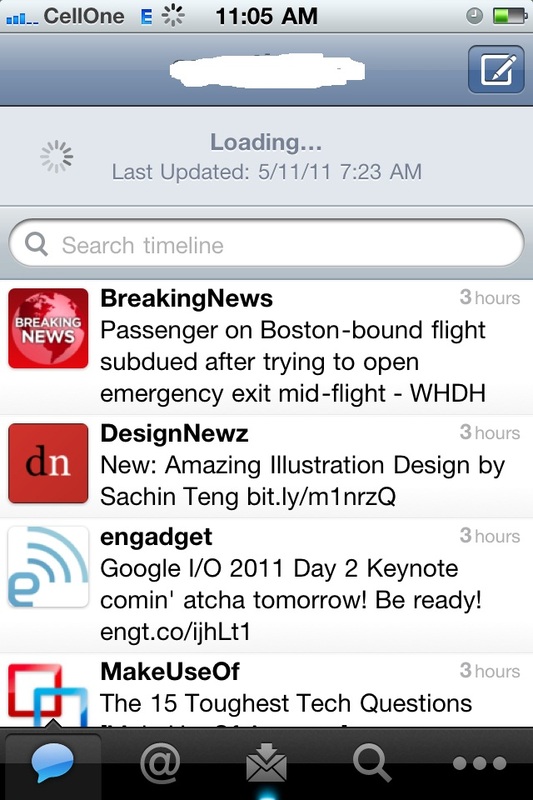 Out of the many Twitter mobile application one I personally use is Twitter for iPhone and Twitter for Android. 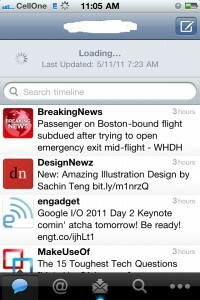 As shown in the screenshot Twitter for iPhone is a perfect application. The latest version also supports location in in tweets. The location feature in Twitter update is only available in GPS enabled handsets. You can download Twitter for mobile for iPhone here, BlackBerry here, Android here, Windows Phone here. So if you have a low end handset it won’t support the official Twitter mobile applications. However, there are some good third party software like Snaptu that let you access Twitter easily. Kenapa ini gak bisa didownload di hp samung valencia?!! iski coding to open hi nai hoti……….. twitter mobile application for blackberry is not available for .net?????????? blackberry ka simulator .net me kb ayega ??????? ?